The highlight of DorkySon’s week – a walk around a Mini garage! « It’s a mad, brilliant, fresh, changing world! Fantastic shot. 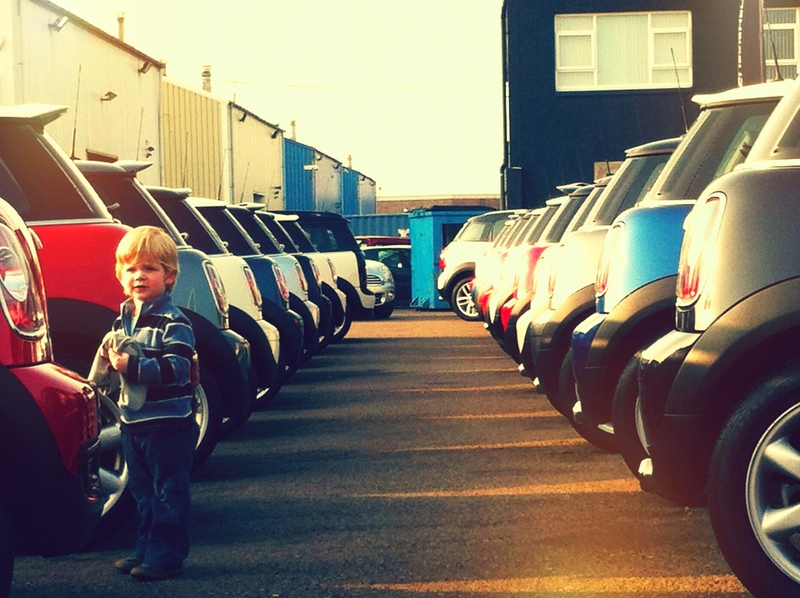 So colourful, so atmospheric – and so cute with DorkySon standing there among all the minis.